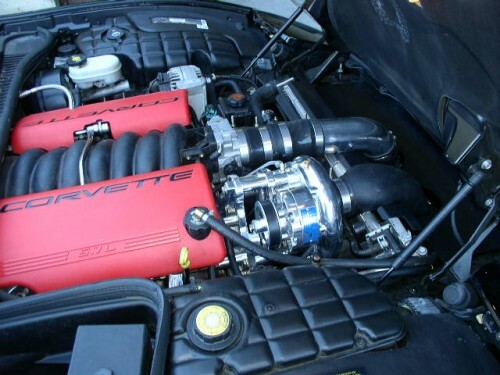 The A&A Corvette Supercharger kit brings you dramatic increases in power while not degrading everyday drivability or highway gas mileage! 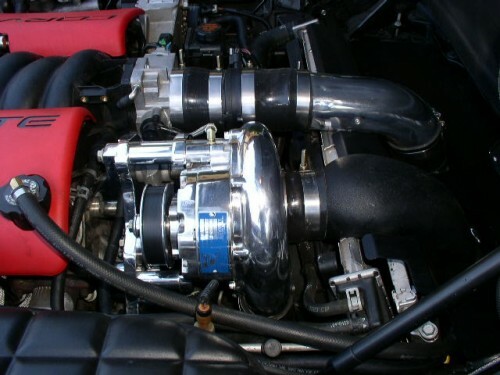 The system utilizes a large blow off valve that remains open at cruise and light throttle. This, essentially, allows the supercharger to Freewheel under normal conditions, reducing parasitic loss to less than that of an alternator. Our bracket is CNC machined from 5/8"� high quality 6061 aluminum plate and fly cut on both sides to assure absolute consistency in thickness. This is imperative for proper belt alignment. Our brackets are constantly quality checked by assembling on our mock up engine and checking alignment with a laser aligner. Our intercoolers rely on superior "air management"� of the charge air as well as the ambient cooling airflow. Both are equally important and are often overlooked by the competition. 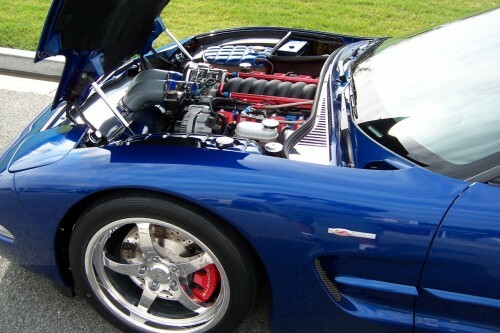 With the limited space available in a Corvette, positioning of the intercooler is critical. We not only use a large intercooler, but we are able to ram more cooling air through the core with our Ram Air intercooler design. The integral scoop captures air from under the front fascia and forces it through the core. The entire core is exposed to this cooling air stream. All the visible couplers are high quality silicone and our "T Band" clamps are polished stainless steel. 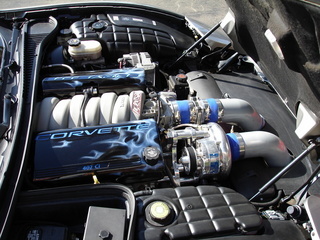 You'll be proud to show off your engine compartment with your A&A Corvette Supercharger system installed.